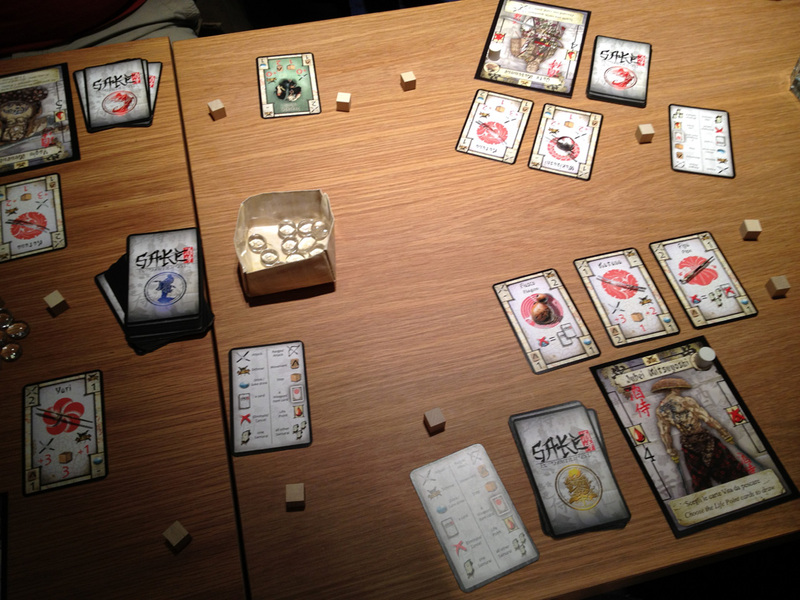 Sake and Samurai is a card-based game where players are each drunk samurai fighting each other to the last man. In front of each player is a card showing their samurai and there are some wooden blocks in between each player’s samurai to show how far apart they are. In the centre of the table is a cup holding a limited amount of clear beads (based on number of players) which represent the drink sake. When the game ends, the goal is to the drunkest remaining Samurai alive.